I wanted to share with you a learning situation my family and I had the weekend of Thanksgiving. We have been working on our disaster preparedness over the last few years, but this situation helped to show us some kinks in our armor. We live out on 5 acres with a well for our water supply. One day I walked out into our garage to find water gushing out of the pressure release valve on our water storage tank. The hose that should have been connected to direct the water outside had been removed because it was in the way. After rushing around to find any hose, we attempted to connect the hose. If you have ever tried to attach a hose to a water source on full blast you can imagine that we were thoroughly soaked before we could get it attached. Shortly after successfully connecting the hose we found the end had a spray gun restricting the flow. With two tool boxes in the garage, we could not find a pair of vise grips with which to help us remove the spray gun. We were forced to sever the hose with a pocket knife. My husband then walked down the very steep and long hill to the bottom of our property to shut off the pump still trying to flood our garage. Little did we realize at the time, that we could have turned off the signal to the pump house by pulling the power cord to the electronic eye that is plugged in right next to the water tank. We spent about four days without water. Since it was a holiday weekend there was no one who could help us. Everyone was closed or out of town. 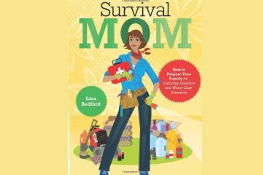 Our tank had punctured its bladder and needed to be replaced and there was nothing my husband and I could do while we waited. We still had to go to work and continue our normal lives. Since I had been storing water, I decided this was a test of our preparedness and refused to buy water unless absolutely necessary. I also chose not to drive to my mother’s for a shower. We started practicing the old adage “If its yellow let it mellow”; of course, I had just started my period, so frequently I HAD to flush. I quickly discovered that our toilet takes no less than 4 gallons of water to flush. Since all the water I had stored was purchased drinking water, it cost me almost $4 a flush! LESSON #1: Store any kind of water; just label it as “Do Not Drink”. Now I fill used bleach bottles, vinegar bottles, etc. I was very lucky in the fact I could fit a gallon bottle of water into my microwave to heat for bathing. I quickly discovered it takes less than 1 gallon of water to wash my body and long hair. I would collect the runoff and pour it in the toilet tank. LESSON #2: We waste a lot of water during our daily habits. If we experienced a financial crisis, we could save propane by heating less water for bathing. Our water tank holds 82-gallons and we routinely drain that for a shower. What a waste in a time of crisis! I was not prepared when it came to the laundry situation. Since I still had to go to work, I had to hand wash my work uniform. I work around food and my uniforms do not lend well toward wearing twice before washing. Hand washing everything but pants is easy. Pants take at least a gallon of water or more to wash because they soak up so much. LESSON #3: Don’t let your laundry or dishes get behind! You never know when your power or water will go out. LESSON#4: Keep tool boxes stocked with basic tools, and when you use a tool, PUT IT BACK afterwards. So after our mini water crisis, my family and I discussed how we could have improved our situation in the event of a very long term water crisis. One of the first things I started doing was collecting water that wasn’t just for drinking. Second, I decided that we needed a non-water based waste collection solution. I told my husband and son that next time we would use a bag in a bucket and kitty-litter for our toilet needs. Both of them turned their noses up and said they would rather go outside, as my 10-year old son put it, “Mom, I’m a boy, I can do that!” Funny, I don’t find the kitty-litter idea so bad. Third, I really need to invest in some water barrels outside and water filters so we can drink it in the time of need. I hope that my experience is helpful to others. Water is my weakness, and I am once again reminded about that with this blog. We do have a swimming pool, and in a crisis I suppose that could be our flushing water. My husband is getting more on board every day, and I recently found new 55 gal water barrels for around $85. (WOW! What a blow to the budget.) I don’t use or store bleach, which is bad, but I just found out that pool shock (be sure to get the right kind) is a much better solution for bleach storage. Check craigslist, sometimes you can find used barrels for much less. As long as they held food, they are safe. I often see barrels that contained syrup of some kind. Avoid the barrels that contained soap or chemicals. I get used food grade 55 gallon barrels for $15 around here (western Oregon). 85 dollars plus just a little more cash will buy plenty of construction materials that you could pour your own concrete underground cistern, projects are always fun, it is my plan for storing water and I have allready built a form and in one continuous pour made made my own grey water septic tank so I know I can do this. A little research on the web from different sources and you will be ready to go plus experience on building things will always come in handy. Our local feed store sells used 35 gallon grain barrels for about $30 dollars. I have also seen advertisments in our local classifieds for used olive barrels for about the same. I’ve heard a lot of people recommend using pool shock, but I’ve also read articles saying that you should NOT use it. It has some very nasty chemicals in it. Perhaps there are different kinds. Just be very careful and read the ingredients and look up the chemicals online. One area we are working on is catching the water that precedes the hot water. We use it for rinsing dishes, watering plants etc. Like the idea of water labeled do not drink. When I lived in a house with an upstairs bathroom I used to syphon out the bathwater onto the garden. Where I live now there is not enough height to enable that so I use a bucket to catch the water in the shower before it runs hot. If I have a bath then I bail it out to flush the toilet. I have a water meter so any water I can save also saves me money. 4 large water barrels, (soon to be 6), means I can water the garden without worrying about the cost, and the plants prefer the rain water to chemically treated tap water. The cheap portapotty at Walmart, or the seat that attaches to the home depot style buckets work great with trash bags and kitty litter. When my son was a young scout another mom and I joined the normally men only outings as our husbands were not available to take our boys. The men wanted us to stay in a small area, so we had to come up with a way to do “our business”. We used this setup in a separate tent and it worked great. Does take much kitty litter, either. I pulled it out during a short term water outage at home and the rest of the family used it, too. Yeah we just used that, for 3 days at home right before easter this year. It did work well, with very little odor. We were surprised how well. We only have one bathroom, and it was out of commission for 3 days. Ugh! I might not have ever been a boy scout but I earned my plumbing, carpentry, and improvised sanitation badges before the bunny came around his year. We live in NM and I’m always thinking about water shortages. However, we’re also quite spoiled with being on city water and addicted to the convenience of simply turning on the tap. 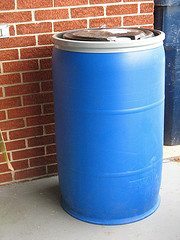 That being said, we have three rain barrels outside for non-potable water catchment, use a bucket in the shower to catch the not-yet-warm-shower water and have 25 gallons of water always on hand in the garage. It’s not enough for the long-term, but it’s a start. Thank you for the tips and reminders! You don’t need 4 gallons to flush a toilet – just put about a gallon into a pail and pour directly into the bowl to flush. We lose electricity quite often where we are so we have learned a few tricks. The first is to use the pressure in your well to fill up pitchers for drinking before someone flushes a toilet and pulls that water into a toilet tank. You also need to remember that you have a full water heater that can be drained in an emergency – just make sure you pull the breaker to it first so that when the electricity is restored you don’t have the heating element burn out – turn it back on once the pump refills the tank. I was trying not to gross out my husband or son with the fact I had started my period. For regular urine 1 gallon of water would cycle the toilet just enough, but for solids a full flush was necessary. Sorry, if that is TMI, but as women we have additional concerns. Please don’t think I meant that as a criticism, I just mentioned it because people who aren’t used to dealing with “no water” situations may not know that it is more efficient to pour the water in the bowl as opposed to filling the tank. When our kids were babies we built a house and lived without running water for 2 1/2 months. It wasn’t a big deal for us because we were raised as campers, but actually living with a wood stove for heat and no running water makes me very much aware of what blessings we have every day! i NEVER considered storing water with a purpose other then drinking. i can’t believe i was so ignorant! i read about the importance of NOT storing drinking water in used milk jugs, but i never considered using the milk jugs for other ‘types’ of water. i could kick myself right now! thank you so much for sharing your story and for educating me! me and my family appreciate it…greatly! We live rural and occasionally have our water system go out. The last time it was over 10 days before we could get everything repaired, in the dead of winter, too. Next to the house we keep 5 x 30gallon garbage cans (with lids) full of water at all times. This provides toilet water which we carry in with 3 gallon buckets to flush toilets. We also keep 4 x 5gallon fresh water containers on hand – the kind you set on a base with a spigot, too, for drinking, cooking and washing dishes. 2 adults used 20 gallons of fresh water and about 60 gallons of ‘flush’ water in 6 days. This type of outdoor water storage is also recommended in wildfire prone areas, too, for when power is out and you need to bucket water to put out spot fires. In winter, having the barrels close to the house reduces freezing, and makes the water pretty accessible even if you have to chop it up. The trash barrels are pretty inexpensive. When we have a water ‘outage’, if possible we fill pots and pans (and tubs) with additional fresh water until we lose water pressure. Then we unplug our water heater. We fill water bottles with clean water and place at each sink. We use wet washcloths and hand wipes for hand sanitation – critical for food safety. We wash produce with fresh water and save the water to later boil for dishwashing, and shift to disposable dishes and utensils whenever possible. Remember, this example is not a ‘disaster’ in a widespread sense. In an actual disaster situation, we would conserve all water, use water filters to make our garbage can water into potable water, and shift to alternative toilet facilities. One thing to consider would be a bedside commode like you get at a medical supply store. They fold up when not needed, but provide a stable ‘toilet’ for older adults and can easily be used with trash bag liners and kitty litter.It’s a better option for me than a 5 gallon bucket with a seat. The camping potties are simply too low to the ground for older adults. There are several excellent passive water filters on the market that would take our ‘outside’ water and make it safely potable. On that basis, filtering our 150 gallons of ‘outside’ water would stretch supplies to roughly 45 days for 2 adults. (note we actually use about 3.3 gallons per day of fresh water for 2 people). I have found one piece of equipment to be an important addition to our emergency preparations and that’s a Big Kahuna Portable Shower. After several water outage events I found I simply cannot tolerate going several days without a decent shower. First we tried battery operated camp-showers but could only get one ‘event’ usage out of them and they didn’t really have enough pressure to wash my hair. This last year I tracked down a better portable shower. The “Big Kahuna Portable Shower” is a sort of 6 gallon box with a 6 foot coiled hose and a sprayer. It has a little DC pump inside the container. You are supposed to plug the unit into a DC car outlet and wash off your boat, surf board or whatever. I thought it would make a great shower for emergencies, if I could figure out how to make it fully portable and I was right. I bought a Big Kahuna (eBay) and since I needed to use it indoors, I plugged it into a portable power supply (the type that is used to jump start a car), though an inverter will work, too. By using a portable power supply I can use it as a spray unit anywhere – kitchen, bathroom, camping, etc. I heat the water in the kitchen, add some more to reach a comfy temperature and take it to the shower in our bathtub and save the water, too. Now I can get a decent shower when our water system is down, with enough water pressure to wash my hair. Bliss! I just wanted to mention that shower solution since it’s taken me a lot of searching to find something that actually works pretty well. As long as I can get a shower I’m a pretty happy person even during power outages, water system shutdowns, major storms, etc. Otherwise I turn into a grumpy ogre. Jean, have you ever heard of the Zodi? I never did until I bought one at a second hand store for $8. I kept it in the garage for a year before I discoverer the thing was worth >$100. It heats with propane, which may be good or bad depending on your situation. Yes, I had looked at Zodi (which is a portable propane-powered little water heater). They’d be great for camping but not what I needed for our in-home situation. We cook with propane, heat with fuel oil (forced air furnace) and have a whole-house back up generator for power outages and a portable generator to run other equipment. Our disaster ‘weak spot’ is our home’s water system. We get water from springs on our property which go through 1500 foot lines to a holding tank and then the water gets pumped uphill to the house pressure tank. It’s a great water system, except for the times when a bear breaks a line to the tank or an elk stomps through a line from the tank, or the pump goes out. This last winter we had a line break below the holding tank from a trespassing ATV, and by the time we realized we had a break we had drained the holding tank. Then we had a severe snow event and a bunch of frozen lines which took out the pump. So basically, everything that could go wrong went wrong at the same time.We had power but no running water. We repaired the line break and filled the holding tank and then had to determine if we still had an operation pump – not an easy task in deep snow. Alas, the freeze took out the pump, too, so it had to be replaced, and being an odd size took longer to obtain. Which is exactly why home water storage is a critical emergency prep item. We actually had ample water supplies on hand due to good preparation (and lots of experience). Living rural is pretty good training ground for disasters, because mini-disasters are a part of daily life. But water security isn’t optimal in urban areas, either. Store water. Store more water. When I was in college, my apartment did not have a shower, only a bathtub. I had long, waist length hair and found that washing it in the utility sink was better than washing in the tub. My room mate and I kept a plastic pitcher and bowl by the sink for scooping out the water. I plugged the sink, mostly so my hair would not go down the drain and get stuck. But that way I could use the water to wet my hair and then use it again to rinse and re-rinse out the shampoo. I’d drain the dirty water (while holding my hair out of the way) and put in fresh water for a final rinse. I used that technique again when the electricity went out for 10+ days several years ago. I was able to wash my hair with about 1 to 1 1/2 gallons. I usually washed my face and neck at the same time. Using a bucket of clean water in the shower or bathtub, I was able to dump a bowl of water on myself to get wet, soap up, then dump more water on myself. I feel cleaner pouring water over myself than using a wet washcloth, but maybe that’s just me. I could do that with only 1/2 to a gallon of water, but if I had enough water I’d use 2 gallons. If one could contain it, the dirty water could be used to flush the toilet, too. I have buckets, garbage bags and peat moss stored for an emergency toilet. Getting toilet seats for the buckets is on my list of things to do. If you have water stored in large containers, make sure you have an efficient way of getting water out! Tipping a large bung top barrel does not work. They are heavy! We bought a hand pump specially made for barrels. Hi I have just read your article on saving water, when flushing the toilet in an emergency water restriction event. We have the plan of placing a full 1.5litre bottle of water in the toilet cystern this saves a lot of water. Also we only flush solids. We also have plans go install a bore well with filter for drinking and saving our rain water in an under ground tank for toilet flushing. Also this can be filtered for drinking if needed. Water is my storage weak point and got a lot of good pointers here. Agree w/only flushing solids in an emergency situation, have always done that. I LOVE the pointer on keeping water in nonpotable containers marked as not for drinking…and will use that one, thank you! I do not empty out “old” water jugs, I keep them to use for non-drinking usage. I keep adding new storage containers for drinking. Since I stored a lot in milk jugs they do eventually start leaking. However, my water storage is in an unfinished basement so its not a big issue. If I see water running across the floor, I find the leaking container and get rid of it. We prefer soda bottles for drinking water. 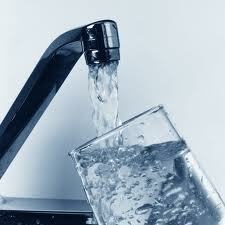 I generally do not buy drinking water but just store from the faucet as we have very good water in our community. My goal for this year is to add two rain barrels. We have a metal roof so should have good water for non-drinking usage or with boiling we could drink it. We have a cabin that did not have running water till 2 years ago. We had 2 tanks we caught rainwater in and bucketed in for use before we put in a cistern. Then and now I save water in anything because during dry spells the cistern doesn’t replenish. I use milk, bleach, vinegar, detergent bottles for extra non drinking water. We are trying to get a system fixed up to connect to the 2 500 gallon tanks we have to really add to our water supply. Our cabin will also be our bug out destination if that need would ever arise, so we would really like to get it completely prepped. Next major project is a solar or wind pump for the cistern. Too many people don’t think of the amount of water it takes to survive, let alone do things like bathe or keep a set of clean clothes. All the grey water ideas on here are great. We are lucky at home, we got “town” water a couple years ago and still are connected to our septic tank. During last years derocho our power was out 10 days and we were able to connect our generator to the well and get plenty of water there. But a generator isn’t a long term solution. Windmill is our goal here for the well with a hand pump. We do have a small pond on our property also, but we have livestock so that would be saved for them. So many things to try to think about and plan for, but everything we might do to help ourselves could help our kids and grandkids in the long run. Urine is high in nitrogen – have the boys bee on the compost pile/landscaping! Women can pee in a bucket and do the same. I was in a conundrum over what type of containers to use for water storage when I spied my batch of wine fermenting in the corner. In a 5 gallon carboy. I have many of these and I now keep them full of water when I’m not brewing. I also have an old water cooler stand and make sure there is always a full carboy on it. I have just purchased a Big Berkey water filtration unit and it can filter a large quantity of water. I use it like another water cooler, keeping it full at all times. I can then use rain barrel water if need be. In the summer I started keeping a 3 gallon bucket in the kitchen sink. I wanted to see how much water I wasted on rinsing, waiting for hot water etc. Amazing! Now I use this grey water to water my compost pile and landscaping (non-edible of course). It was a good lesson and a good habit to get in to should a water shortage occur. That reminds me, when we had power outage for two months. Thankfully we have fresh water well, but as the rest of the water system was built up on having power, the same problems came up, too. One thing we learned, was that if you have heating sun (in northern regions, sun isn’t warming in autumn and winter seasons), then the best way to get water for washing yourself, would be to set water with the darkest basin you have outside in direct sunlight. The water warms enough by the evening that you can have warm water to wash yourself. So you don’t need extra heating to warm the water for washing hair or yourself. We still do that in summers, keep a basin with water in sunlight so we can have warm water at hand all the time. It won’t go like hot, but it is warm enough for quick rinse. We collect rainwater from the rain deflectors for the garden. This way you don’t have to use the water you could use on anything else on your plants. And after the water has set, you can also use it for toilet. To water plants, we have also made a small pool, where to take water for watering the plants. It is natural hole, so we don’t clean it with chemicals. Instead of letting the tank fill with 4 gallons each time, we had a slightly more old-fashion way. Because the water would go there anyway, we had 1 liter pitcher with a bucket stand next to the toilet. Instead of filling the tank, you took one pitcher full and drained it straight down the hole. That was often enough for the sewage to move away. You can try it out if it works with your toilet system as well – took much less water. We also use the grey water from washing all the vegetables to water the flowerbeds. Grandmother still washes the vegetables she collects from the gardens (and will peel later) in the rain collecting tank, because this way she doesn’t have to get extra water. To avoid people constantly going for the tap to get glass of water for drink, which left overs often fly down the drain, we have pitcher with water standing on the kitchen counter all the time. We’ve noticed that with this, you often take less water in the glass and you have less leftover water to toss away. When we had less water one summer, we had a small bucket under the sink. All the left-over water was collected for house plants. If you have a well and it isn’t the very deep kind (I’m sorry, I don’t know what they are called in English), then a very simple crank system is a must have. This way you are not relying on generators to get water, you can simply let the bucket down and get it whenever you need. It’s a must have for any kind of emergencies in outbacks, because any kind of motor can fail – crank, on the other hand, you can easily replace. I went to a permaculture convergence last year and was extremely impressed with the compost toilet. I’m going to be creating one soon for my household. Basically they had a toilet seat over a 5 gallon bucket. In this case since it was a convergence with 100 people, it was a bamboo hut that felt like a port-a-potty. There was a toilet seat where the humane manure dropped into a 5 gallon bucket. After you do your business you have a cup in another 5 gallon bucket full of mulch. You just sprinkle it over where you just went. When the bucket was full, they could easily slide it out – remove it and bury the contents in the woods. It was easy to put in a new bucket. There was NO smell. It felt far cleaner/better than a port-a-potty. If you had your period, it would be great as well because with the sprinkle of mulch, no one would ever see or smell it. The best part is that it doesn’t use any water and it is a very cheap solution. Currently, in my house we do the if its brown, flush it down but if its mellow let it mellow. Basically with pee if there starts to be too much toilet paper or it has been more than 4-5 hours we flush. I have a 5 gallon bucket in the shower and when I am heating up the water, I generally get a gallon or two. I use it to flush the toilet or if I don’t need it for that I bring it outside for my plants. I also sometimes pee in the back (where no one can see me) in the mulch by one of our trees. Saves a lot of water! Just an fyi: instead of filling your toilet’s tank to flush, just dump a two quart pitcher of water in the bowl, it is enough to flush the toilet. Try it! Just started stocking water. We normally drink spring water in gallon jugs. When empty, I have been filling those with tap water, taping the caps back on and dating. We have a well with a water softener. I had been assuming that the water in those jugs would be safe for everything including drinking, since there was only water in there before. I saw where you shouldn’t use milk jugs for drinking, now I am wondering if reusing the water jugs is a good idea. If those gallon jugs are made out of very thick, hard plastic — might even have a bluish tinge to it — it will be fine for water storage. For those with light needs (or tiny apartments like mine), using 2-liter soda bottles for non-potable water works great. The bottles are sturdy and cheap. Keep them dark to retard the growth of organisms and prevent the plastic from becoming brittle.